I was lucky enough to be contacted by someone from GoCustomized asking if i would like to review one of their phone cases. I was asked if i wanted to create/choose my own design for a new phone case. I absolutely love phone cases and am constantly changing mine, so i jumped at the chance! Above are the photos of what design i chose for my personalised phone case. Go Customized started out in 2012 in the heart of Amsterdam. They focus mainly on creating unique personalised product for their customers. They have started to expand their business meaning, here in the UK, you are able to get your hands your own original product. They do phone cases for all sorts of phones ranging from iPhones, to Samsung Lg, HTC, Sony, etc. They also do cases for iPads as well. One you're on the website, you choose what phone you have, and then decide on what type of phone case you want, such as a full wrap case or a flip up case. There are moe options to choose from too. Once you've done that, you are able to import whatever photo or image you want on to it, align it so it fits perfectly for you, go to check out and pay, and then you should have your brand new unique phone case with you in a few days. The only thing i'm not too keen about on their website, is that when you are aligning your photo, you don't use your mouse to get it into place as you think you would. Instead you have to use the buttons that are just below your design to align your image. I found this annoying, but that's just my personal opinion. The phone case i chose was for an iPhone 5. It was the personalised hard case - full wrap. The full wrap means that the design will come round the sides of my phone. 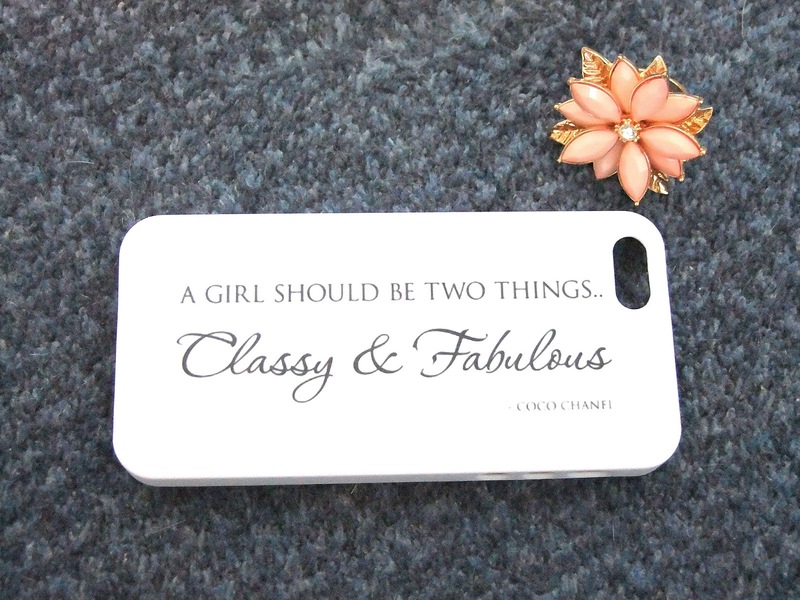 The image i chose for my unique phone case was a quote from Google Images by Coco Chanel. It is one of my favourites. I actually have this quote and design on my bedroom wall. 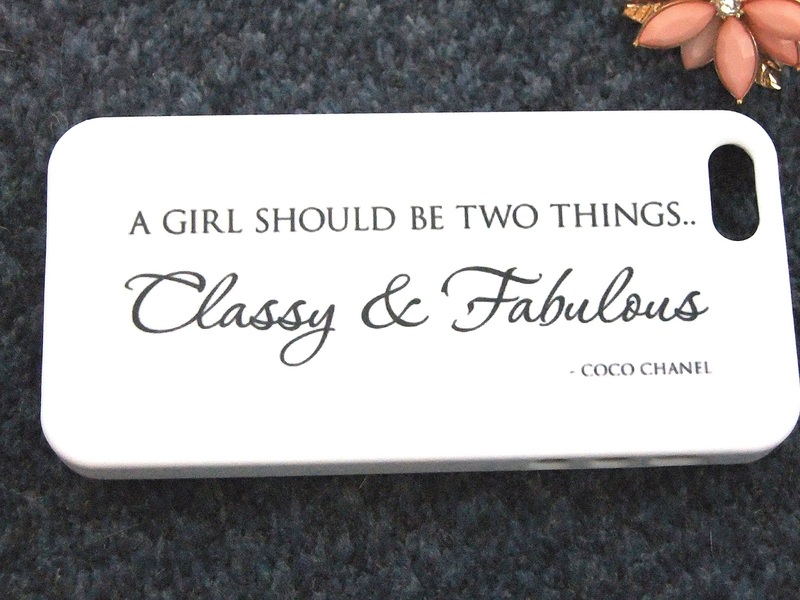 "A Girl Should Be Two Things, Classy & Fabulous". I just absolutely love it! This phone case template would cost you £19.95, which i'd be wiling to pay for a personalised phone case that i love. Thanks to GoCustomized they kindly gave me a discount code which covered the cost of my case. I would highly recommend getting your phone case from GoCustomized, i am so happy with my mine. I advise you to go onto their website and design your own phone case if you're looking for a new, original one. I'm always looking for more customisation sites to try out, thankyou for the thorough recommendation!